This ball is perfect for a beginner bowler or someone who just likes to bowl for fun! It also glows under blacklight! I got this ball strictly to use for the 10 pin in my league bowling. It also glows under black lights so would be good for casual bowling at night. Overall I am very pleased with the ball. We bowl weekly with family and the ball is great. Is the ball clear with shark inside or just a flat cover that runs off? Hello. This ball will have a flat cover, this is a picture pasted onto the ball. This will not be a clear ball with a shark inside. Does the ball come drilled? What's the normal rate for having ball drilled? Drilling costs can vary depending where you go to have it drilled. 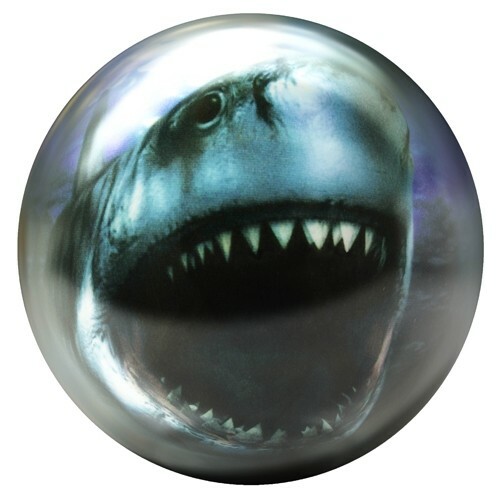 Due to the time it takes to produce the Brunswick Shark Glow Viz-A-Ball ball it will ship in immediately. We cannot ship this ball outside the United States.